When is the Best Time to Invest in Aussie Dollar (AUD)? The foreign exchange market presents a lot of opportunities for investment. Among hundreds of currency pairs in the forex market, the USD/AUD pair is one of the most closely watched. Investors are accustomed to the traditional rule of buying an asset when its prices are rising. In the case of Aussie dollar (AUD), it can be entirely different. 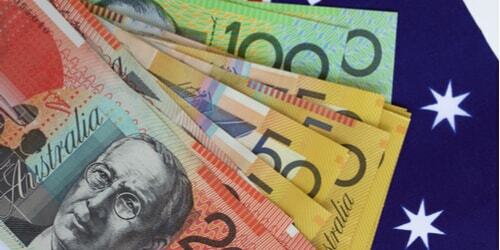 The Aussie dollar has followed a downward trend in the past six years. In 2011, it has touched its highest value of all time at $1.10. Five years after, it has lost most of its strength and languished around the 7- cent-level. While this has become bad news to some investors, others have found this fall as a perfect chance to invest in the Australian dollar and other financial instruments. Australia is known as one of the top producers of natural resources such as the mineral iron ore. Global investors always prefer cheap prices of these commodities. By saying cheap, it does not only cover their underlying prices but also the exchange rate of the currencies they are priced in. Thus, a country buying minerals from Australia can bring home more minerals thanks a lower Aussie dollar. If the currency price is higher, countries may skip Australia and buy somewhere else. The weakness in Australian currency is also a great boost for the real estate sector. In the previous year, the sector posted the biggest growth rate compared to its main peers, thanks to the slump in Aussie dollar. Again, foreign investors took advantage of the depreciation of the currency and bought Australian real estate in cheaper prices. Moreover, it helps other sectors of the economy, like manufacturing, services, and tourism, to become more competitive. Having said that, one should bear in mind that the Aussie dollar will never stay in the bearish territory. Since a cheaper currency becomes more attractive to foreign investors, the demand for it will eventually go higher. To conclude, in the foreseeable future, the Aussie dollar will probably remain near its current level. As commodity prices continue to struggle along with the Australian economy, the currency will have a hard time returning to the same level back in 2011. But as shown above, there are many ways to cushion the fall.